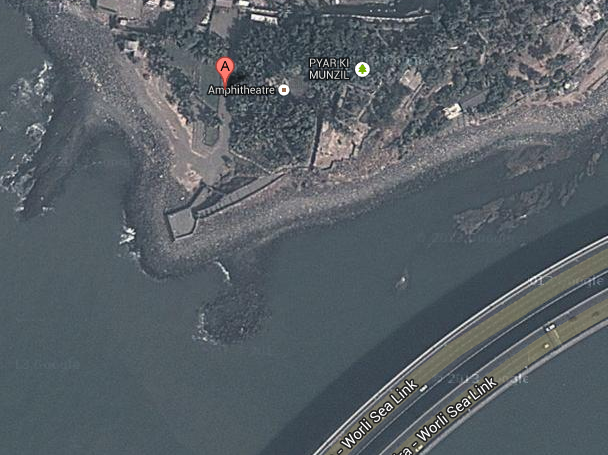 Castella de Aguada is popularly known as the Bandra Fort. 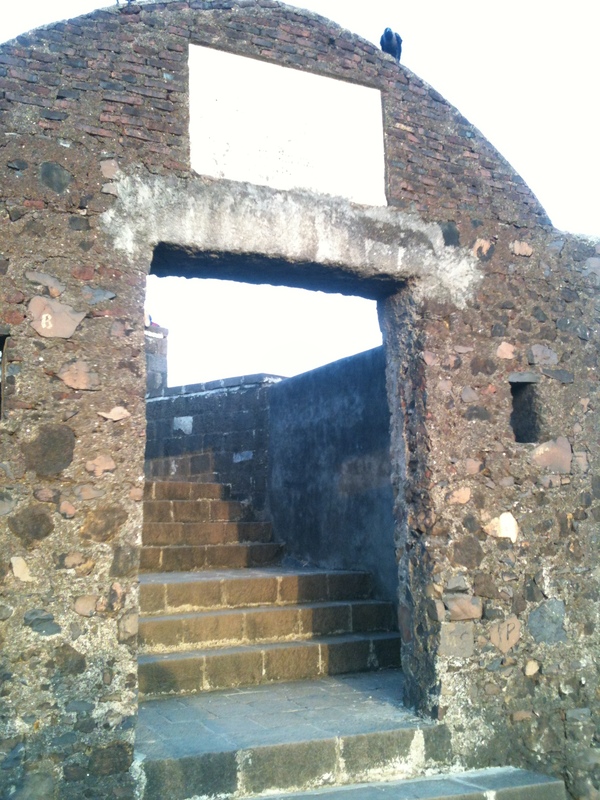 Castella stands for castle or fort and Aguada means source of water in Portuguese. 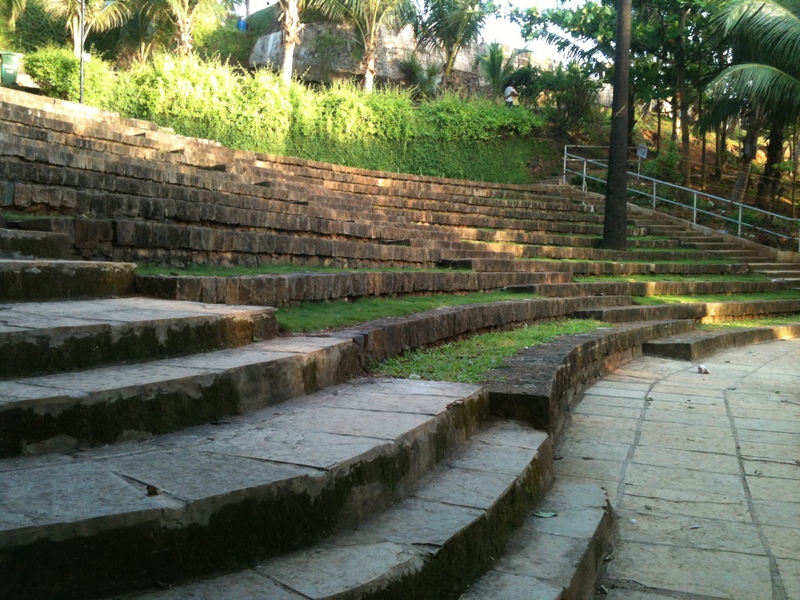 Closer to the fort, a fresh water spring was known to be there where the ships used to stop by for intermediate break. 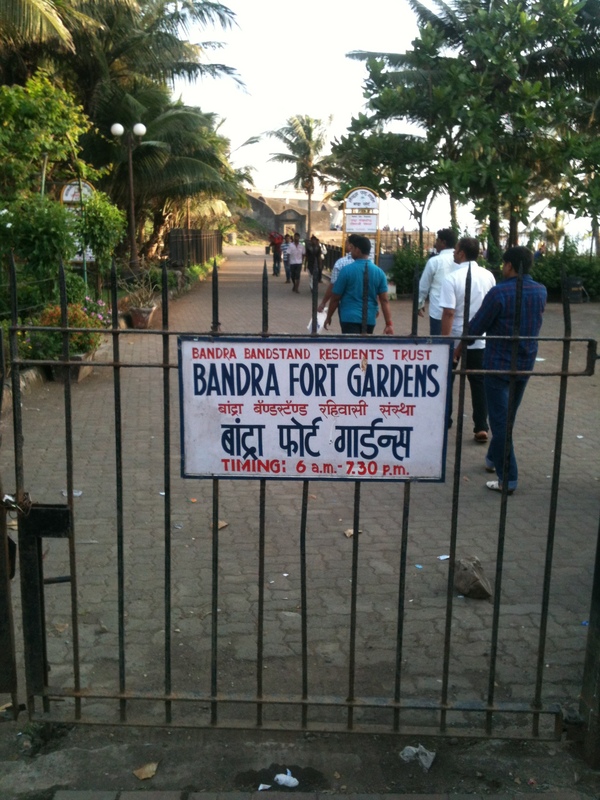 But the Portuguese themselves are known to have named this place as Forte de Bandora, which is Bandra fort. 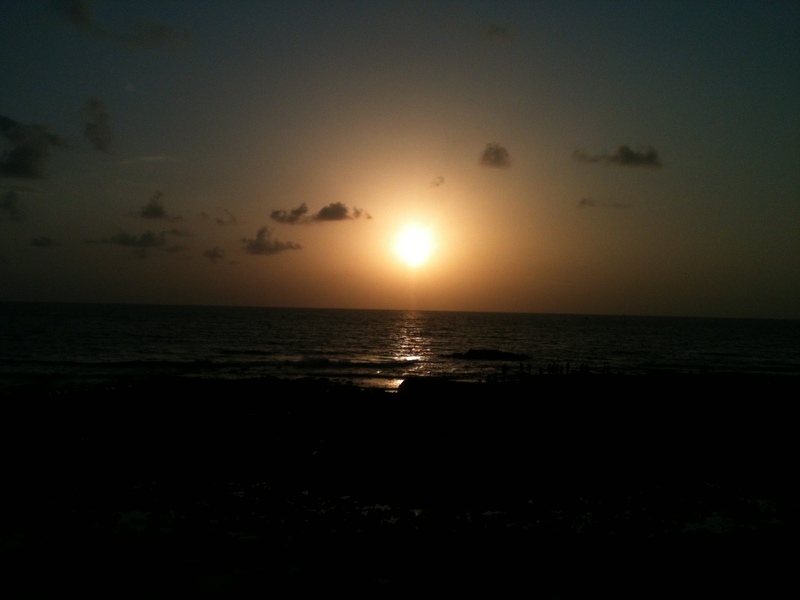 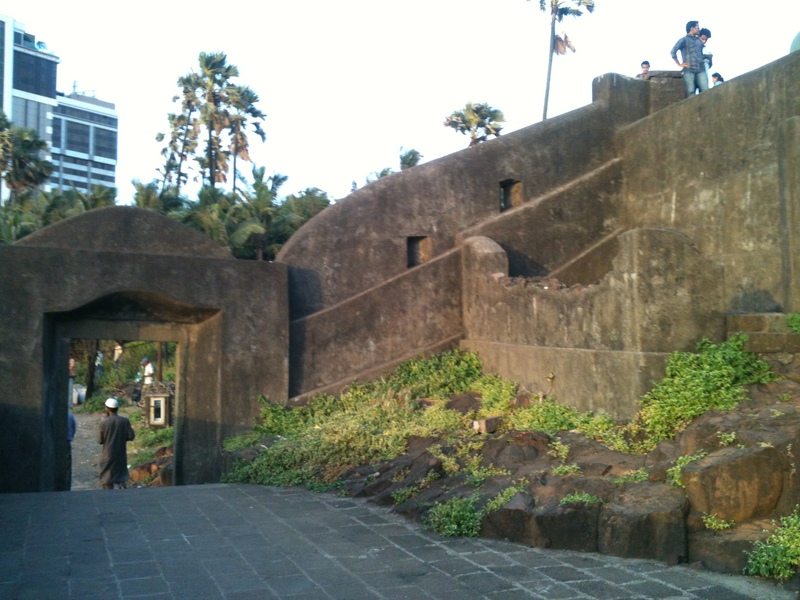 The fort was built in 1640 for the purpose of watching the Mahim bay. 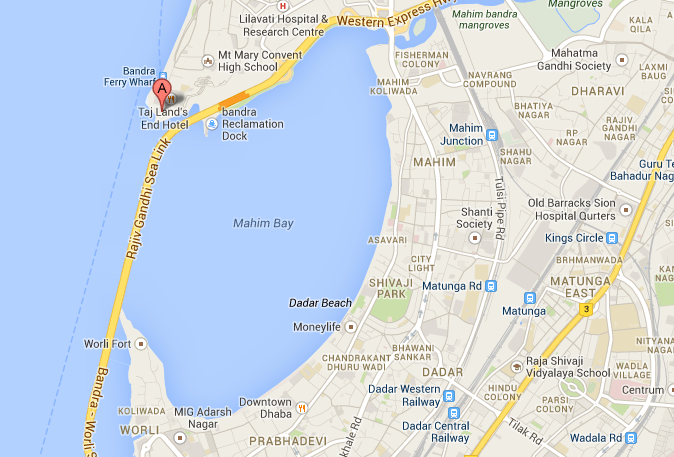 The map below depicts its location of the fort at the southernmost tip and hence provided the strategic location to keep a watch. 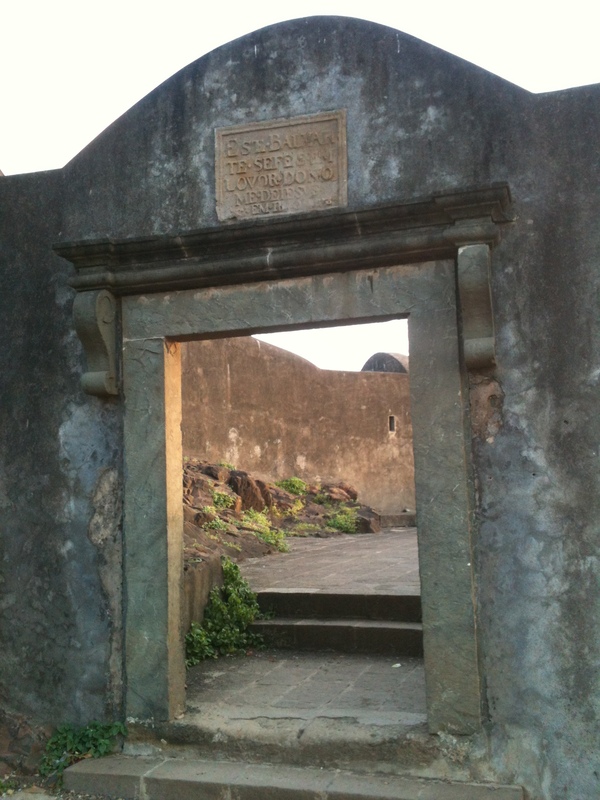 The plaque reads…”Over four centuries over steeped in history Banetor, Bandera, Bandor, Bandora Portuguese historians had many aliases for Bandra, a Konkan coast town in 1505. 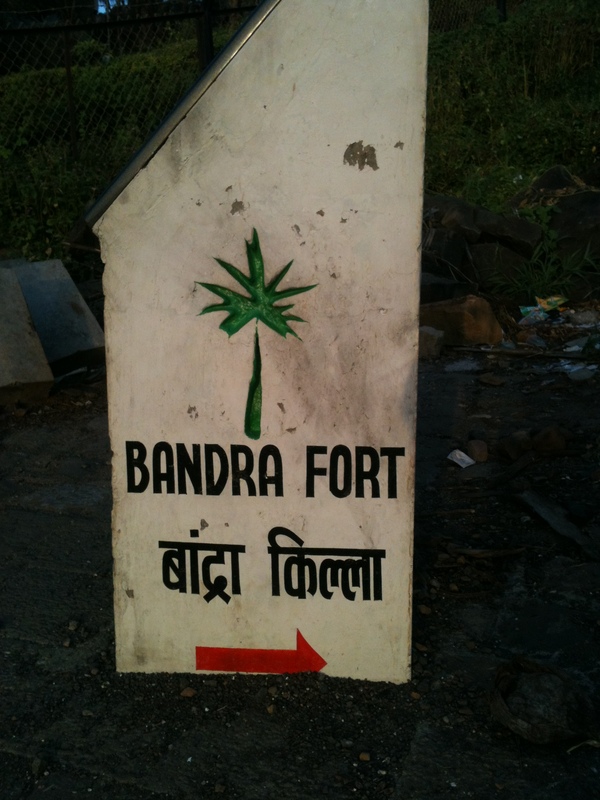 Marathi documents call it Vandra. 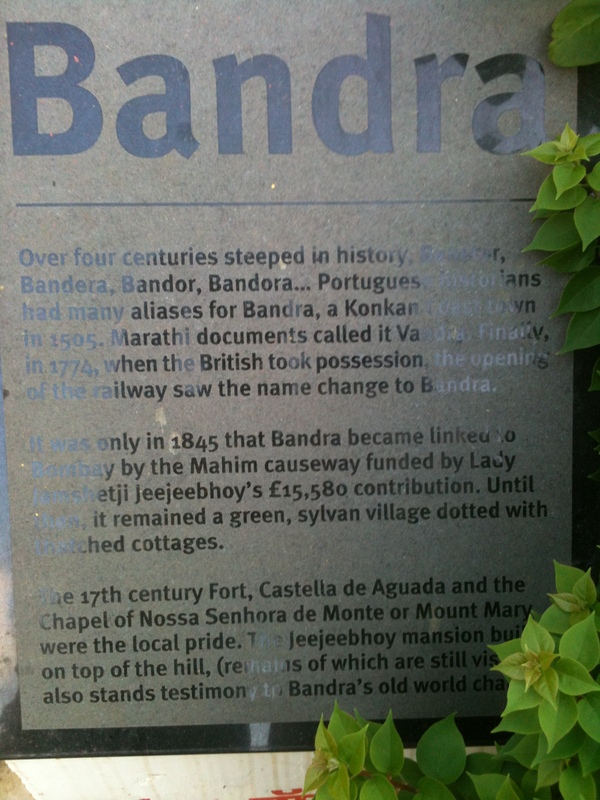 Finally in 1774 when the British took possession, the opening of the railway saw the name change to Bandra. 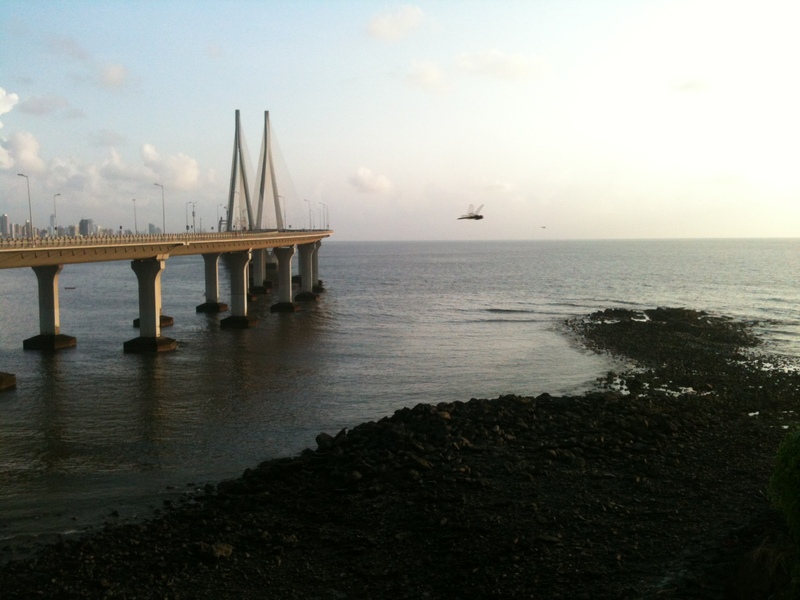 It was only in 1845 that Bandra became linked to Bombay by the Mahim causeway funded by Lady Jamshetji Jeejeebhoy’s 15,580 contribution. 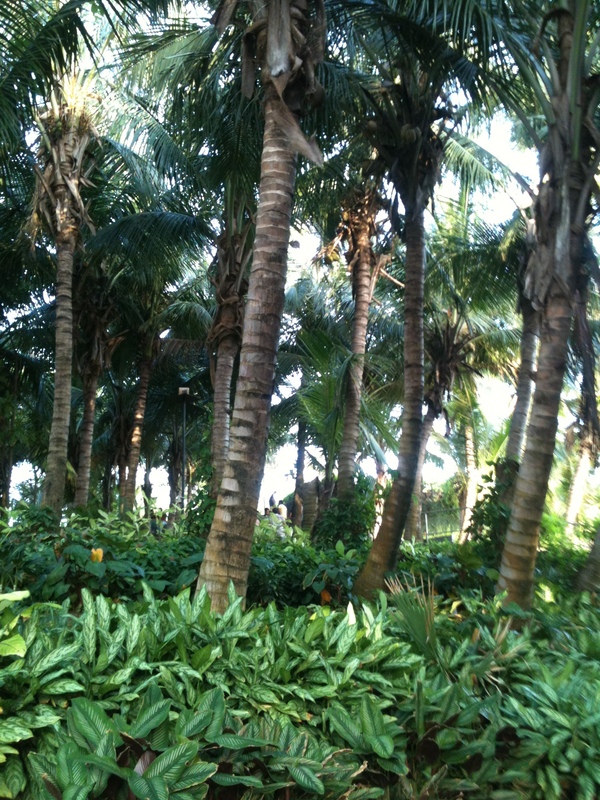 Until then, it remained a green, sylvan village dotted with thatched cottages. 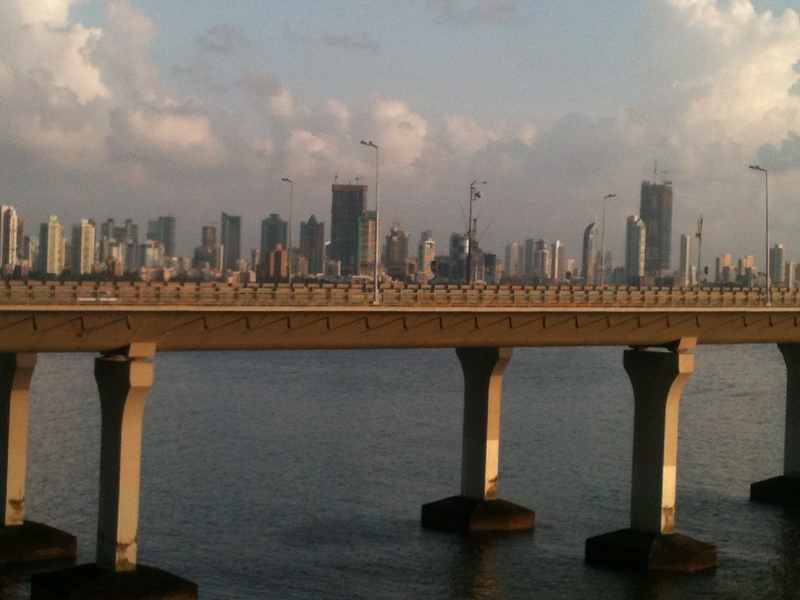 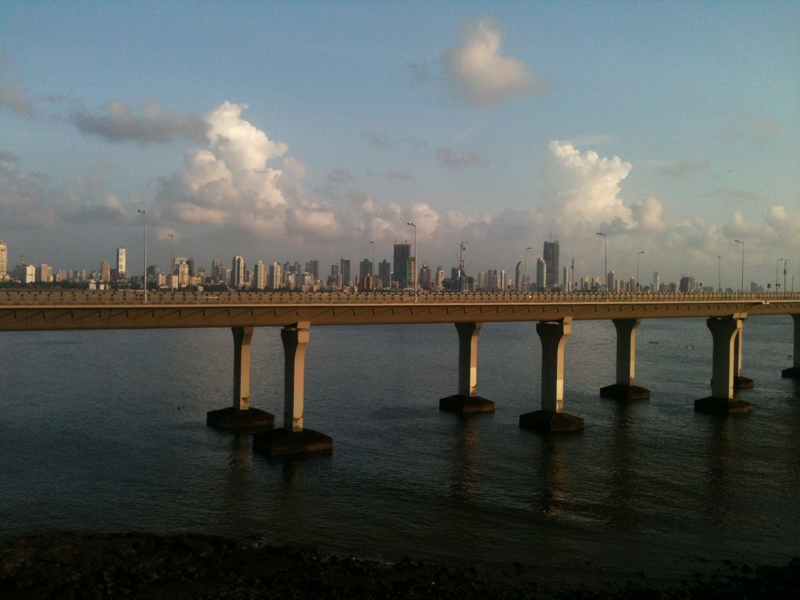 View of the Mumbai skyline from the fort…. 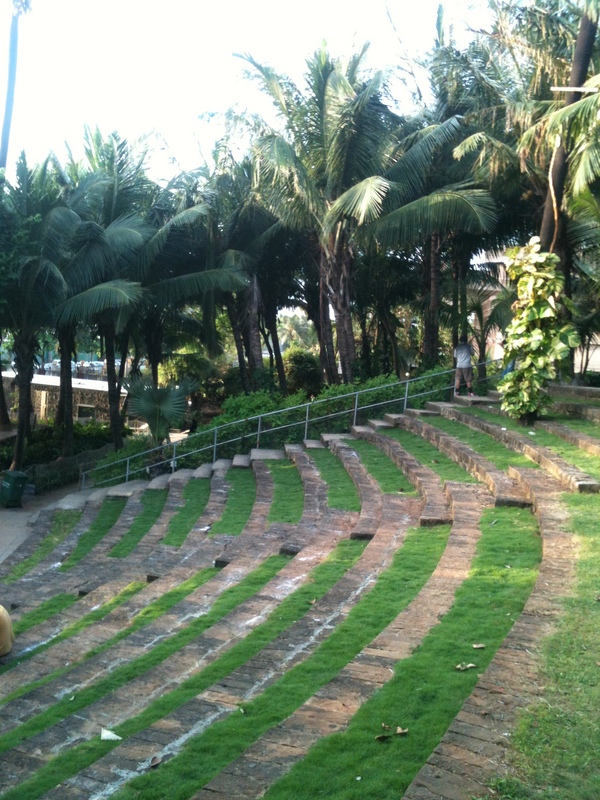 There is beautiful garden besides the entrance. 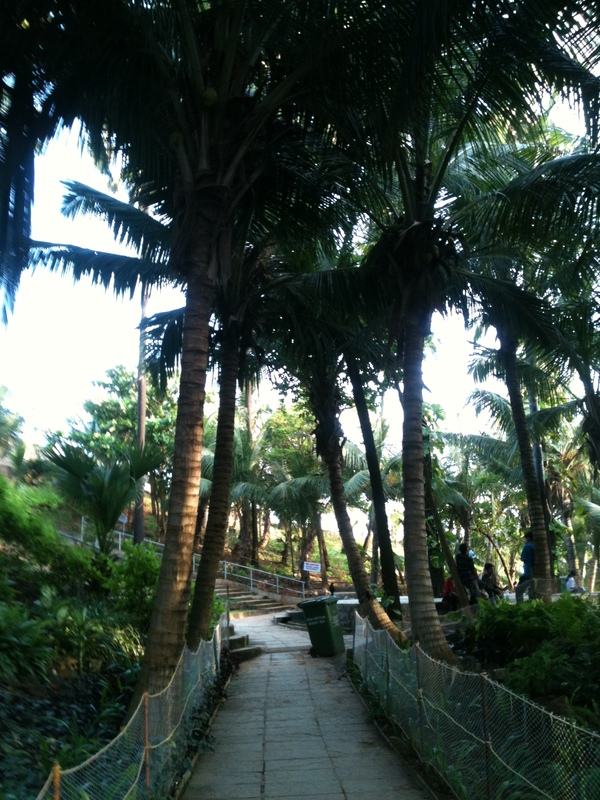 This green abode provides lots of private nooks and corners for love birds to chirp. 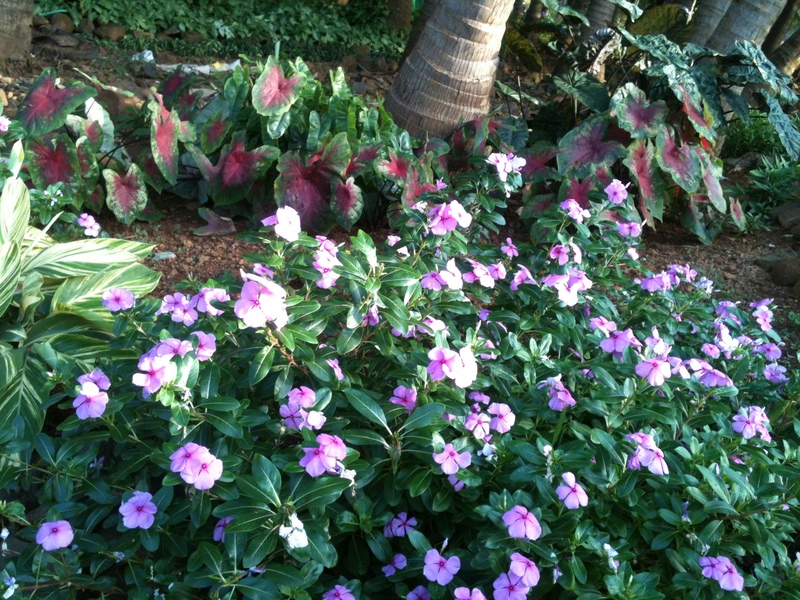 They are flocking everywhere you go in the garden. 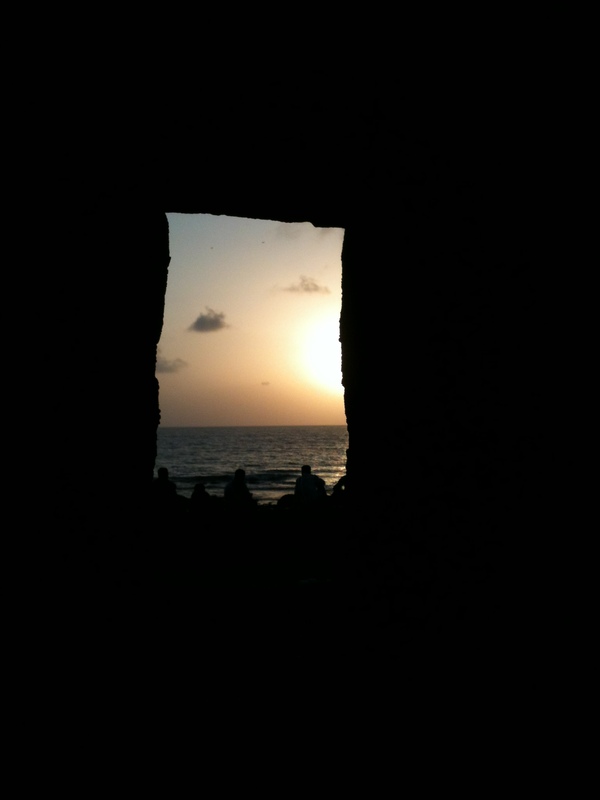 Is this privacy in the open? 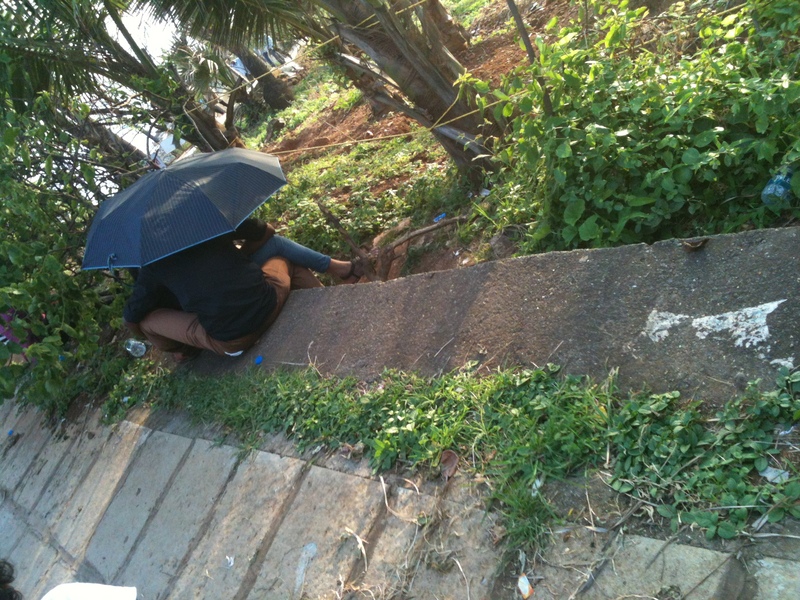 Good umbrella work on a shiny day! 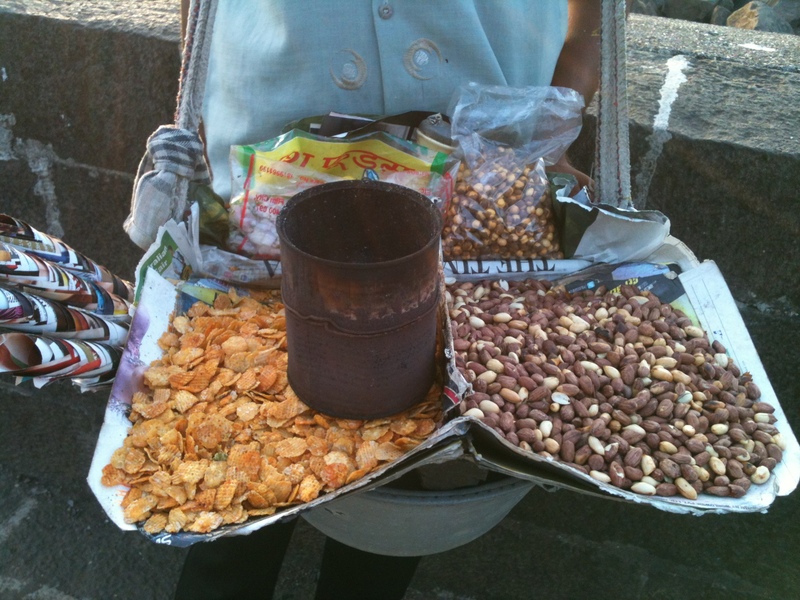 Some local snack chana sing dana (roasted peanuts and grams) for you to enjoy the setting sun.